Software/Programming: How UEI solutions are used. Hosted - Connected to a PC with Windows, Linux, QNX, VxWorks, RTX, or similar OS. Hosted also is for OPC-UA, Modbus and EtherCAT. Standalone - Controller with Linux or VxWorks OS, Simulink I/O Target or UEILogger. Available options for this product are shown in the drop down menu. Typically in stock for 1-2 week delivery. The DNA-CAR-550-600 provides the capability to interface an industry standard PCI Express Mini Card to UEI's GigE based, UEIPAC 600-1G Cubes. The DNA-CAR-550-600 provides a standard PCI Express Mini Card slot that is compatible with a wide variety of off-the-shelf Cell, WIFI and other communications cards. In addition, many of the Cell cards also provide a direct GPS interface. Note that the DNA-CAR-550-600 implements the USB interface of the PCI Express Mini Card architecture, but not the PCIe interface. Only Mini Cards based on the USB interface are supported by the DNA-CAR-550-600. The Mini Card USB connection is connected directly to the UEIPAC's USB port. Software support of the Mini Card will be supplied by the Mini Card's manufacturer. Since the UEIPAC uses a standard Linux operating system, high quality drivers will be available from most Mini Card suppliers. The DNA-CAR-550-600 also provides a slot for standard SIM/UIM cards provided by the various cell/CDMA/GSM network suppliers. This card may be inserted through the front panel of the DNA-CAR-550-600 allowing service to be added or modified without opening the cube. External RF connections are provided by two standard SMA series connectors. These can be used to connect to various antennas such as those required by Cell, Wifi or GPS equipment. The DNA-CAR-550-600 may also be ordered with RPSMA connectors if desired. Four LED annunciator lights are provided. The first is a simple power indicator which is lit any time power is provided to the board. The remaining three are connected to the three LED indicator control pins that are provided on the standard PCI Express Mini Card interface. 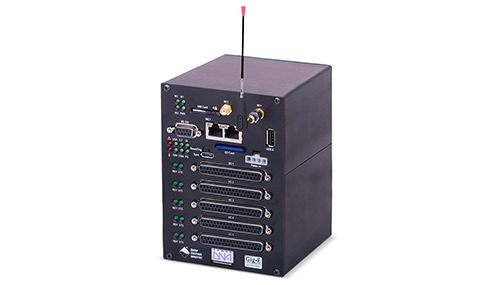 The DNA-CAR-550-600 provides a new level of system interconnectability to the UEIPAC, allowing simple and direct connection to a wide assortment of Cell/CDMA/GSM networks, WIFI networks. 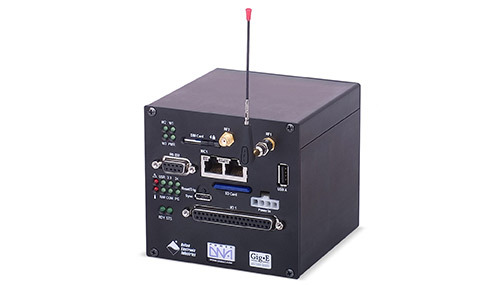 The board also allows direct connection to the satellite based GPS system. Note: This product no longer includes UEI’s 10-year availability guarantee. Availability is currently guaranteed until January 31, 2028. The product has NOT been designated for End-Of-Life and may be available well beyond the guaranteed date. Post-sales support for this product is guaranteed until at least January 31, 2030. UEI may have alternative solutions for these products. Please contact the factory to learn about the most appropriate substitute.